Immediately, there were dismissive grunts and sycophantic glances in Geras’s direction. Surely the great Professor, on whose every word we hung, would rip this insolent pawn of the hated bourgeoisie a new one? But Norman Geras was not that kind of man. He answered with clarity and sympathy, artfully guiding the student through whatever text it was we were examining. In those few moments, the aspiring revolutionaries in his classroom were taught a salutary lesson on the enduring bourgeois values of respect, tolerance and kindness. Geras was, to be sure, a Marxist and a man of the left. His books included a study of the Polish-Jewish revolutionary Rosa Luxemburg and an important treatise entitled “Marx and Human Nature,” in which he argued that Marx did, in fact, accept that there was such a thing as human nature, and that socialists consequently needed to grasp the ethical implications of this position. Later in his life, Geras grappled on a daily basis with those ethical implications. A stalwart opponent of Stalinism during the Cold War, in its aftermath he emerged as perhaps the most tenacious critic of the western left’s embrace of dictators and tyrants from Slobodan Milosevic to Hugo Chavez, by way of Saddam Hussein. This sensibility was carried over into his writings on anti-Semitism, a subject he addressed with increasing frequency and urgency, given the vogue among some of his fellow academics for boycotting their Israeli colleagues, and more generally depicting Israel as the source of all evil. And in doing so, his Jewish identity was placed front and center. 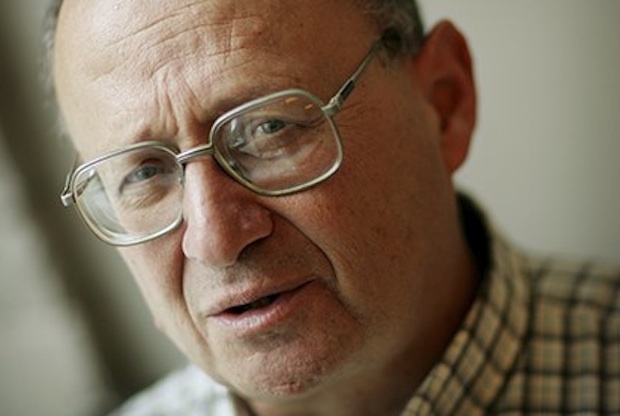 “What’s there is there.” That may well be Norman Geras’s epitaph. Through his unfailing insight and disarming honesty, Norm was unique. And now that he is gone, it is safe to say that we will not see his like again. This entry was posted in newspaper articles about normblog and tagged anti-Semitism, Ben Cohen, The Tablet on October 18, 2013 by The Editor.